ENORMOUS: Part one of Enormity has landed. With little fanfare, I sneaked part one of Enormity onto Amazon on Anzac Day 2013. I had the first third of the book polished and as ready as it was ever going to be. So why wait? I couldn’t think of a reason. I could have announced an “official launch date” and built some hype, but then I remembered that I’ve been drunkenly blathering about this book to everyone I meet for four years now. Hype-enough, methinks. The beauty of eBooks is that there’s no competition to get them on the shelf. Once they are available to download, they are already on the shelf. Sure, there is competition to get them noticed. But they are there should people want to look for them. You’re across the first hurdle. In the physical realm, a book deal might get you into a long list of bookstores. But will it keep you in book stores forever? Will you sell more copies or be more noticed if you’re on a real bookshelf instead of a metaphorical one? 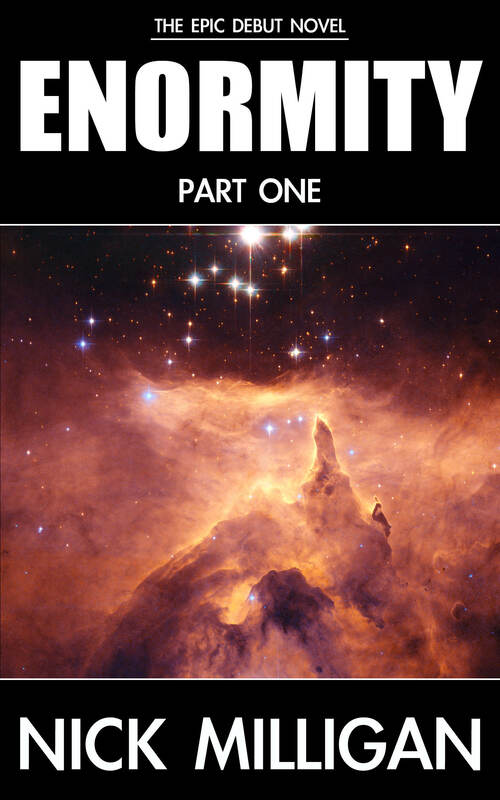 By releasing Enormity in three parts I hope to have an organic interest build around the book. But it’s safe to say I am still learning how to market an eBook and am only dipping my toe into the methods by which to do so. But considering it’s my first book, I can’t necessarily see the benefit in having a massive, expensive launch night which might not equate to any actual sales. But I’m open to a launch night for the second and third parts. By putting the basic marketing methods in place – social media, this blog, Facebook advertising etc – I can lay a foundation on which to build awareness. That’s the plan. 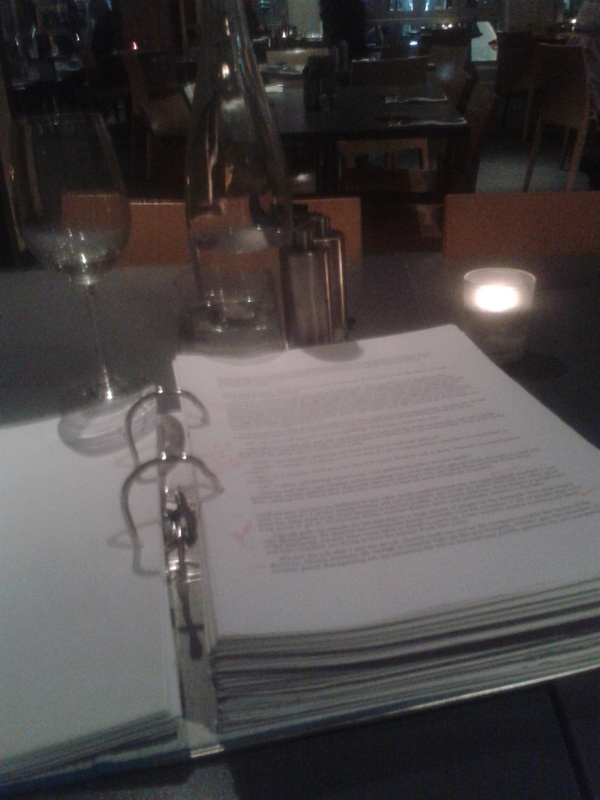 WINE AND PROOFING: An image taken during the proofing of one of Enormity’s drafts. Further to this, it does feel strange to have the first 13 chapters of Enormity in the world for people to read. Because it’s such an unusual story, it’s very hard to predict how people will respond to it. The book’s protagonist, Jack, was a subconscious voice and I can’t really explain why he does or says anything. I can’t even remember where I was or what I was doing when I wrote certain parts of the book. It’s all a blur. I would frequently lose time and two or three chapters would be written. Jack somehow commandeered my mind and typing hands. I suppose it’s unavoidable that the reader will somehow see Jack’s story as a clear reflection of my own personality and proclivities. For those of you willing to believe me, I stress that the reflection is a very blurry and distant one.